8 Amazing YouTube Tricks Nobody Told You About: – You think you have been with YouTube long enough to know all her secrets? Oh come on, there is a lot more to her that you have no clue about. What you know about YouTube is very little and what is yet to know, is a tall mountain to conquer. Read on, to try out the 8 most amazing YouTube tricks that you would wish you had known earlier. 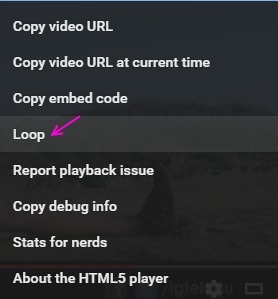 while playing any youtube video, just do a right click and the loop option will be there. Check it and the video will play repeatedly in loop. If you are doing it in a HTML5 player. You can do a right click while pressing shift for the LOOP option to appear. while watching any video, You can just press any of the number keys (not from the numpad, but from the top row, below the function keys) from 0 to 9 to skip parts of the video. For example If you press ‘3’, you’ll skip 30% of the video from the beginning, if you press 4, you will skip 40% of the video from the begining. Pressing 0 will get you to the beginning of the video. 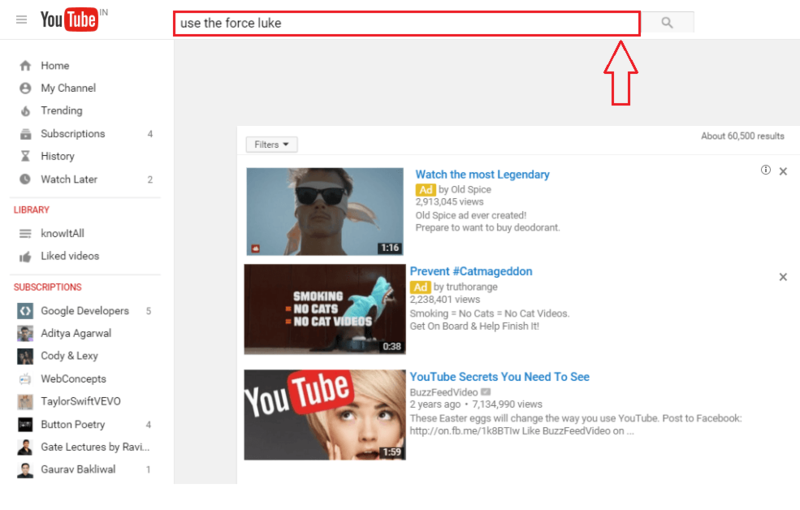 Open YouTube and in the search bar, type in Use the force luke and hit Enter once you are done. You’ll have a drunken YouTube right infront of your eyes. Make sure it doesn’t get a ticket because of you. Having no direct option to download videos from YouTube might have frustrtated you a number of times. 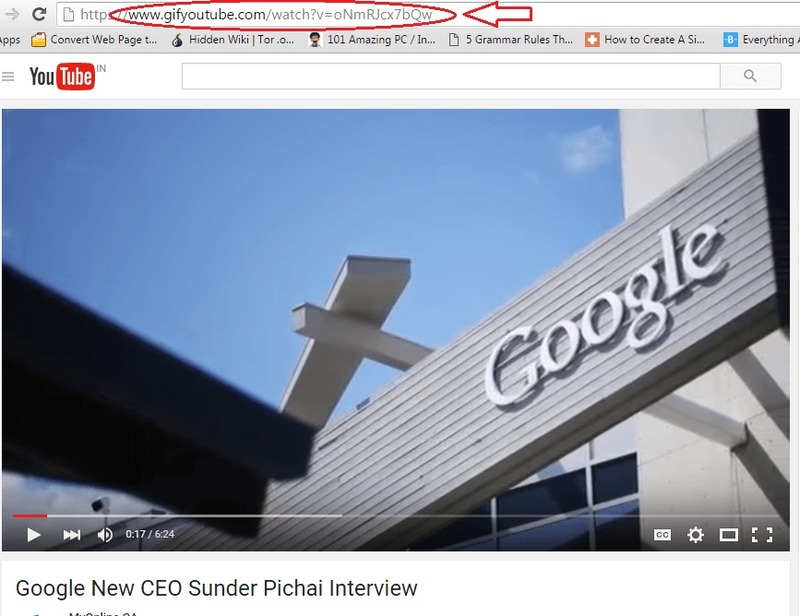 If you want a workaround, simply add ss right before youtube.com in the video URL that you want to download. Don’t forget to hit Enter of course. Previous step will take you to Savefrom.net, from where you can easily download the video in the required format. 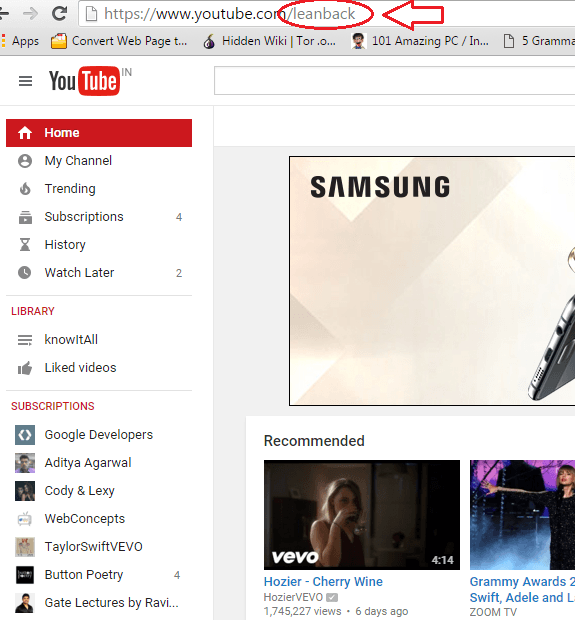 If you think that your YouTube is too dull for your vibrant nature, you could try adding some colour to it. 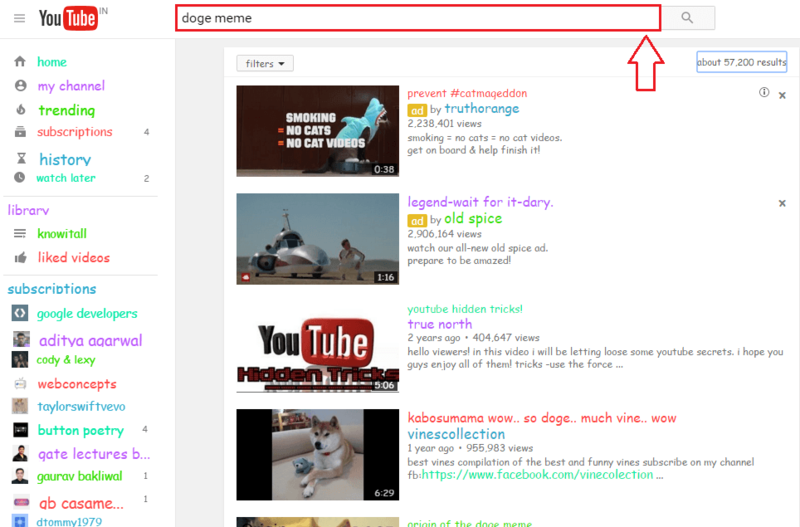 Simpy type in doge meme in the search bar and hit Enter. Sit back and enjoy the magic. 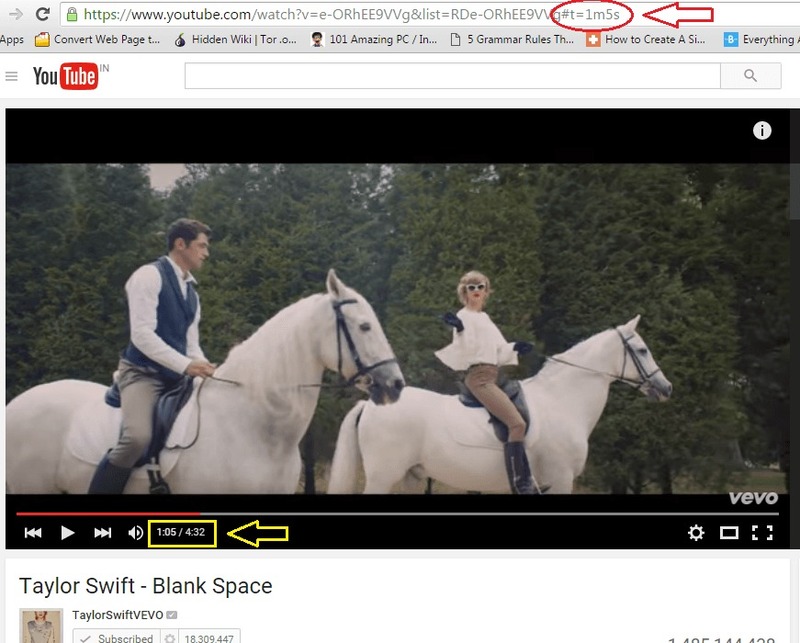 Ever thought of creating GIF formatted files from your favourite YouTube videos? Well, simply add gif before youtube.com and hit Enter. 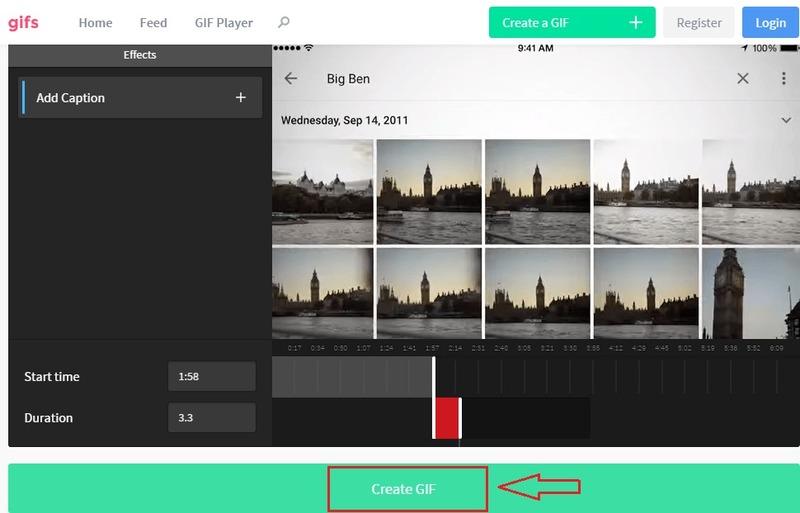 Once you are automatically taken to the GIF maker, you can decide the length of your GIF file. Click Create GIF button once you are all set. Do not have the time to drag through the video to get to a particular point? You can always get to a particular point in a video by adding #t= followed by the time instance to the end of your YouTube video URL. For eg, #t=1m5s. Take the following screenshot as a reference. The little rodent is just too adamant to move as per your instructions? You could activate the keyboard mode for operating YouTube. 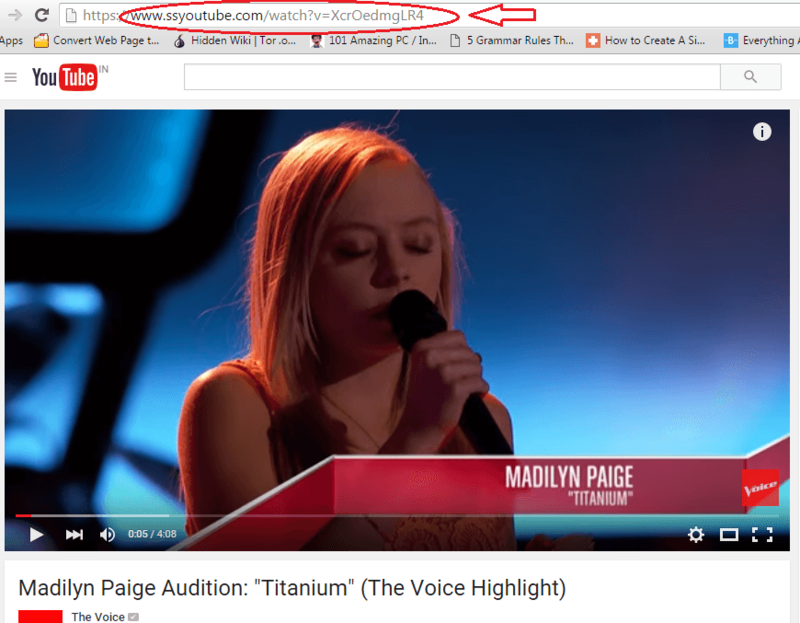 Just add /leanback at the end of www.youtube.com as shown in the following screenshot. Tired of seeing videos playing all by themselves at the end of a video? Just find the Autoplay slider at the top right corner of your page to turn it off. j= Rewind the video by 10 seconds. l= Fast forward the video by 10 seconds. No, don’t even think of just reading the tricks and going to the next post. Try them out! It’d be fun, trust me. If you find more YouTube tricks or have trouble with any of the tricks mentioned here, feel free to share your thoughts in the comment box below. Hope you had fun reading the article. How could you do all this and give for free? Don’t you think you can easily earn a handsome amount of dollars for doing all this?you are really fantastic!